All self-confessed coffee lovers like the idea of a coffee made from the freshest, highest quality beans. But to be honest, it’s quite difficult to know the coffee’s journey prior to it reaching the bag, or the cup. That’s why we do all the background work. Which is why the beans we source are the best in the world. Our buyers regularly visit the farms at origin and it’s the relationships we forge with these farmers that allows us to access this specialty grade coffee. 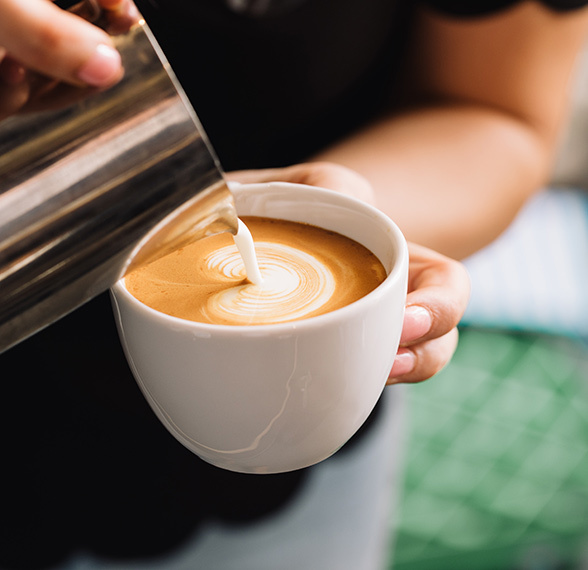 We understand every aspect of the coffee process; from where and how it’s grown, how it’s processed and roasted, to our barista’s intimate knowledge of brewing the perfect cup for your enjoyment. When our buyers visit origin, they tour coffee plantations, gaining intimate knowledge of the grower’s farming practices and in turn influencing the processing methods and innovations to ensure our blends are perfect each harvest. Our single origin coffee program allows us to introduce and showcase a new coffee every two months. Our single origin coffees are produced from one origin, or farm rather than a blend of origins. They are carefully chosen for their unique, high quality characteristics and processed with great attention to detail. As single origin coffees are seasonal, they are only available in small batch quantities but provide a fantastic opportunity for coffee lovers to try something new. Naturally, the best coffee is made not only from the best quality coffee beans but also the freshest beans. Green beans, when stored in a clean, dry environment, can last around six months before the freshness and quality begins to deteriorate. That’s why we endeavour to have them roasted well within that time. As you can imagine, for busy roasteries such as ours, we are constantly receiving deliveries of green beans. Our roasters are experienced coffee tasters and specialise in analysing the sensory aspects of coffee including: flavour, aroma, body, sweetness, balance and aftertaste. Over the years, they’ve had plenty of practice! This comes in handy when maintaining consistency of the flavour profiles of our coffee that our customers love so much.